Bipolar is one of the most common, yet debilitating mental health conditions in the UK. Affecting every area of your life from relationships to work to socialising, Bipolar also increases your risk of suicide 20 fold4. With the right treatment, Bipolar can be successfully managed and those with the disorder can go onto live happy, fulfilling lives. One of the biggest hurdles for anyone with Bipolar Disorder isn’t the treatment routine itself, but simply getting the right diagnosis in the first place. Of all the mental health disorders, Bipolar is perhaps one of the most commonly misdiagnosed – but why? The following is a list of five reasons why bipolar disorder might be misdiagnosed. Bipolar disorder can be confused with other mental health conditions, such as ADHD or ‘unipolar’ depression. The manic episodes that are associated with Bipolar may not be that obvious and an be mistaken for other behaviours such as those commonly found with ADHD (rapid speech, inability to concentrate) because the person may not have had a manic episode until later in life. The beginning of bipolar disorder tends to be characterised by a depressive episode rather than the manic/hypomanic episodes we hear so much about in the press5. Symptoms of bipolar disorder look very similar to unipolar depression, and if the manic periods are not memorable, recalled easily or frequent, it may be that the clinician bases the diagnosis on the patient’s current presentation. However, even when the patient has had manic or hypomanic episodes in the past, bipolar disorder can still be misdiagnosed6. This is likely related to the following two points: that hypomania can go unnoticed, and that clinicians do not always get all the information they need. Some people with bipolar II who present to clinicians do not have a clear history of hypomania. Hypomania refers to an elevation in mood that is less drastic than mania. Hypomania may sometimes be enjoyable due to the increased energy and confidence that often come with it. However, it can still lead to impulsive behaviour with adverse consequences, such as overspending and damaging personal relationships. Because it is more subtle in how it is experienced, it is harder to pick up. Because it is enjoyable, people with bipolar II may not seek treatment during a hypomanic episode. Research suggests that people with bipolar II are more likely to seek treatment for a depressive episode than a hypomanic episode. Hypomania also does not tend to involve psychotic symptoms (hallucinations and delusions), or a serious ‘break from reality.’ Furthermore, hypomania does not tend to end in hospitalisation, as mania sometimes does. Hypomania is therefore less likely to be recognised by mental health professionals, the person with h bipolar II or their family and close friends. This could explain the research finding that misdiagnosis of bipolar disorder as unipolar depression is more common in bipolar type II than in bipolar type I7. 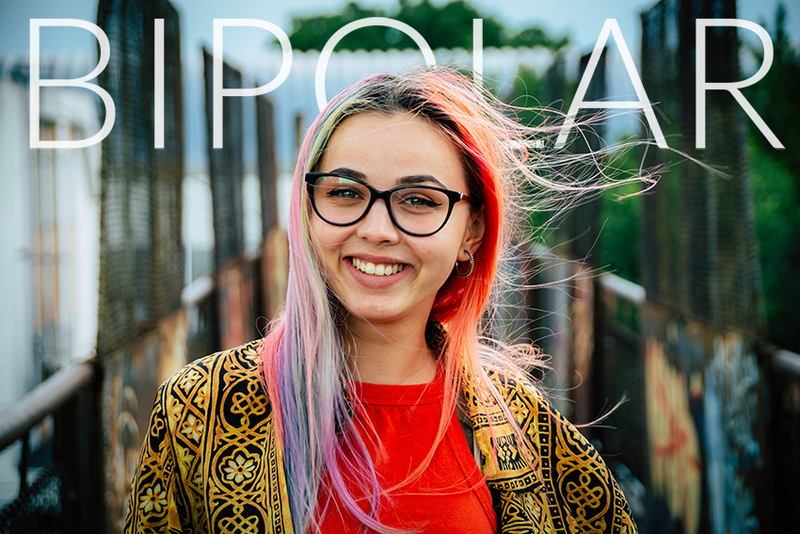 People with bipolar II may not deliberately withhold a history of hypomania from the clinician, but they may not mention it either because they might not recognise a past hypomanic episode for what it was. Furthermore, depressive episodes for people with bipolar II are far more common than hypomanic episodes (Judd et al., 2003). This would make hypomanic episodes stand out less than depressive episodes. Sometimes it can be difficult to get a full history of someone’s mental health problems – a key part to any psychiatric assessment. This can be for several reasons. Sometimes the person with bipolar disorder doesn’t have an accurate memory of their mood states in the past. They may have misinterpreted a previous hypomanic episode as a good phase of their life, or a period of stability in between depressive episodes. It can be really hard for someone with Bipolar to be able to accurately recall their moods and when they happened – depressive and manic states make it hard to remember the detail of what you experienced. Anyone with a mental health illness will know how hard it is to verbalise their symptoms and experiences and therefore be able to clearly describe them to a Psychiatrist. Ideally the diagnosing clinician will be able to speak to the individual’s family or partner to understand another more objective view on the symptoms – but this isn’t always possible and often people with Bipolar feel shame or embarrassment with their symptoms. Another reason bipolar may be misdiagnosed is if there is a more ‘pressing’ or immediate mental health condition that overshadows the Bipolar. For example, people with Autistic Spectrum Disorder who also have bipolar disorder may not receive an accurate diagnosis because of what is called ‘diagnostic overshadowing.’ This refers to when symptoms of bipolar disorder are interpreted as Autistic traits, and it may happen because there are overlaps in symptom presentation8. People with ASD and bipolar disorder are also more likely to have mood states with mixed or atypical features, such as irritability and aggression as opposed to euphoria, which can also make an accurate diagnosis more difficult9. There are multiple subtypes of bipolar disorder. As well as bipolar types I and II, there is cyclothymic disorder (many periods of hypomania and depressive symptoms which do not meet the criteria for a depressive episode), and bipolar disorder not otherwise specified (depressive and hypomanic symptoms that do not meet the criteria for bipolar I, bipolar II or cyclothymia). Sometimes it may not be clear which subtype the person’s symptoms best fit with. This may be because the clinician has an incomplete or inaccurate history of the patient’s mood states. 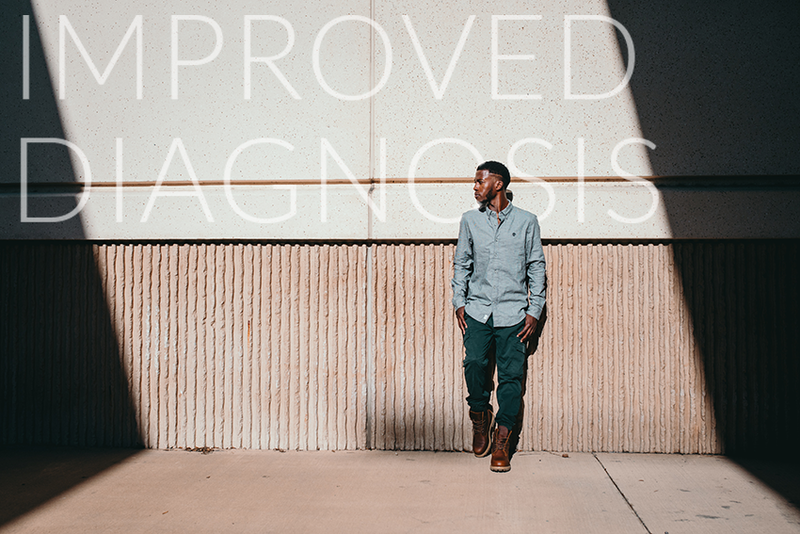 How can diagnosis be improved? Take notes of previous mood swings and try and describe how long they lasted for, what the highs and lows felt like and what the consequences were on your life (for instance relationship pressures, spending sprees, suicidal thoughts). It’s often to remember these details in a consultation. Ask friends and family to attend the consultation with you or to write the consultant a letter of their take on things – this might seem weird to you, but every bit of information can help. Take a list of previous medications you have tried in the past and how effective they were. Read about the types of bipolar and note down anything that rings true for you – Bipolar isn’t just the ‘manic depression’ we hear about but can take on more subtle, but just as devastating forms. For more information about Bipolar Disorder you can speak to someone at www.bipolaruk.org or your local GP. If you would like a private assessment for Bipolar you can call 0203 326 9160 to speak to someone today about how Clinical Partners may be able to help. 1 Smith, D. J., Nicholl, B. I., Cullen, B., Martin, D., Ul-Haq, Z., Evans, J., ... & Hotopf, M. (2013). Prevalence and characteristics of probable major depression and bipolar disorder within UK biobank: cross-sectional study of 172,751 participants. PloS one, 8(11), e75362. 5 Phillips, M. L., & Kupfer, D. J. (2013). Bipolar disorder diagnosis: challenges and future directions. The Lancet, 381(9878), 1663-1671. 6 Goodwin, F. K., & Jamison, K. R. (2007). Manic-depressive illness: bipolar disorders and recurrent depression (Vol. 1). Oxford, UK: Oxford University Press. 7 Baldessarini, R. J., Tondo, L., Baethge, C. J., Lepri, B., & Bratti, I. M. (2007). Effects of treatment latency on response to maintenance treatment in manic‐depressive disorders. Bipolar disorders, 9(4), 386-393. 8 Borue, X., Mazefsky, C., Rooks, B. T., Strober, M., Keller, M. B., Hower, H., ... & Goldstein, B. I. (2016). Longitudinal course of bipolar disorder in youth with high-functioning autism spectrum disorder. Journal of the American Academy of Child & Adolescent Psychiatry, 55(12), 1064-1072. 9 Vannucchi, G., Masi, G., Toni, C., Dell, L., Erfurth, A., & Perugi, G. (2014). Bipolar disorder in adults with Asperger׳ s Syndrome: A systematic review. Journal of Affective Disorders, 168, 151-160.